Personal Finance Tips: All About Insurance! 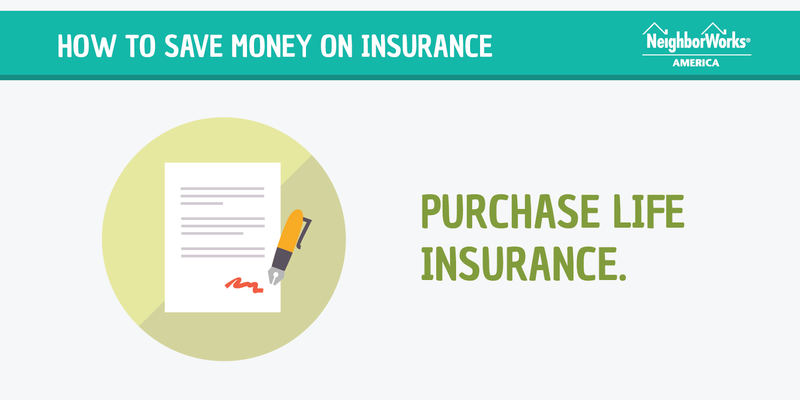 With the day-to-day struggles of paying bills and setting money aside for savings, it’s easy to overlook the importance of insurance. Everyday concerns also make it difficult to recognize that the insurance you took out in the past may not be the right type for today or the future. 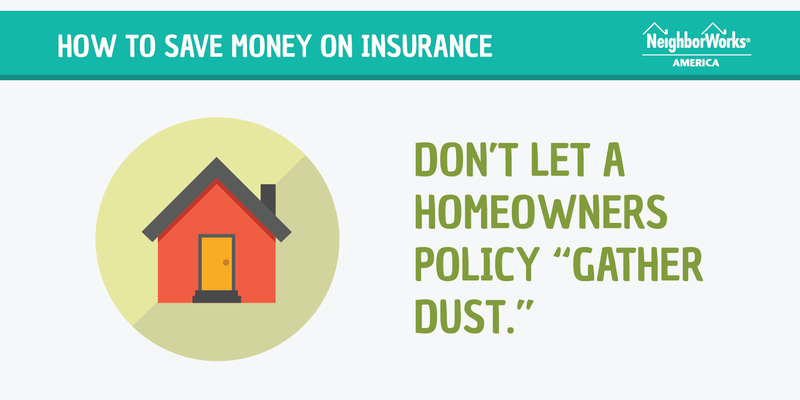 Most people obtain homeowners insurance when they buy their home, then put the policy into a drawer and forget about it. However, it’s best to review your policy every year and see if it needs to be upgraded. For example, if you’re doing a major remodeling project, such as finishing a basement, updating a kitchen or renovating a bathroom, the value of your home and property will change and thus your policy needs to be re-examined. 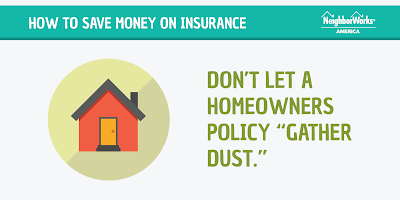 Choose a homeowners policy that covers 100% of the replacement cost, not only market value. Unfortunately, in some areas, older homes have a market value that is substantially below the replacement cost. Don’t be caught with an inadequate policy. Building contractors or professional replacement-cost appraisers are a good source for obtaining an estimate for your home. Estimates from these sources should reflect your home's new features, like those mentioned above. NHS of New Haven can put you in contact with qualified professionals. 2. 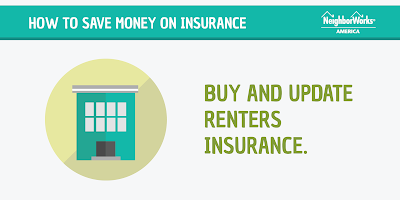 Buy and update renters insurance. Renters insurance protects the valuables inside your home whether you're living in an apartment or renting a house. If an incident such as a fire or flooding, a landlord's insurance will cover the building itself but not your own property. As with homeowners insurance, you should review the policy regularly to assure it reflects your current address and property. For example, if you do not alert your insurance company when you purchase an expensive item such as a tablet computer or piece of art, you might not be reimbursed if it is stolen later. 3. 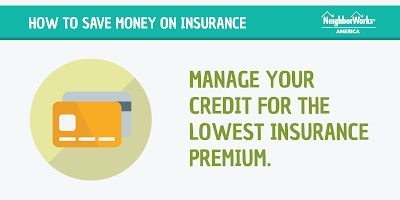 Manage your credit for the lowest insurance premium. Just about everyone has heard about credit scores. 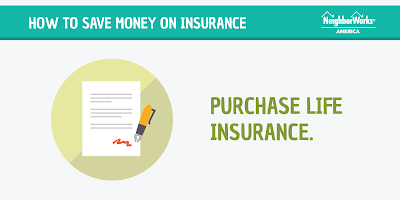 However, many people aren’t aware that insurance companies calculate a person’s insurance score, and use that number to determine how much your annual homeowners insurance will cost. Like a credit score, an insurance score takes into account your outstanding debt, the length of your credit history, whether you pay your bills on a timely basis, your number of credit accounts and any new applications for credit. The best insurance scores are assigned to individuals with long, established credit histories, a track record of on-time bill payments, low debt and few new credit accounts. NHS of New Haven offers post-purchase housing counseling and financial capability programs that help you manage and improve your credit score. 4. 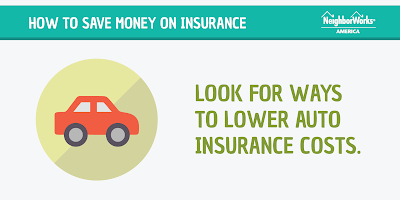 Look for ways to lower auto insurance costs. There are more than 250 million registered automobiles and light trucks in the United States, and the average vehicle age is more than 10 years. 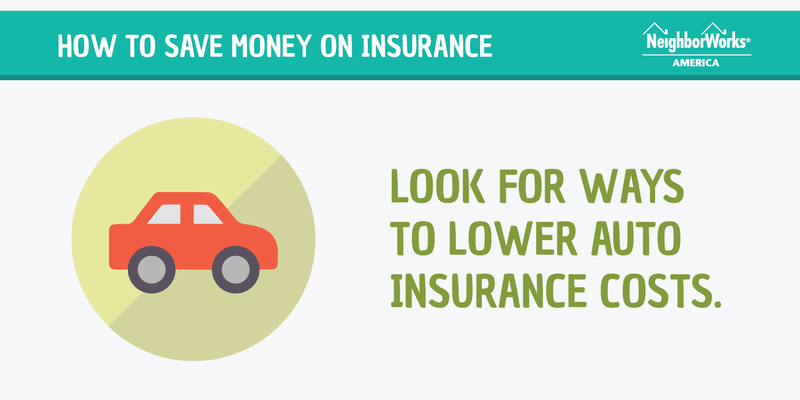 If you’re one of the millions of drivers with a car, there are ways to lower your insurance cost. Most auto insurance companies offer reduced rates to drivers with clean records. If you haven’t had an accident in the last few years, check with your insurer and others and determine if your rate could be lowered. Parents of children who drive know that adding their kids to the policy could push up the annual premium. But if your child successfully completed some driver-education courses, or earns good grades in school, alerting your insurance company could lower your auto insurance costs. Life insurance is a tough investment for many people, but if your income is essential to your family’s day-to-day life, then planning for the ultimate unexpected occurrence could be the right thing to do. Life insurance products are incredibly complicated, and according to an industry trade group, more than 100 million people in the United States are without life insurance protection. Working with a financial coach at NHS of New Haven can help you set a budget that will help you manage all of your insurance needs. Looking for That Perfect Last Minute Gift? 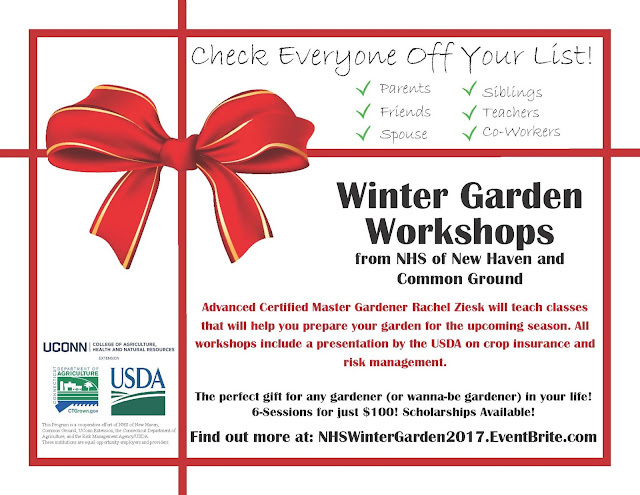 Our Winter Garden Workshops* are the perfect gift for the gardener (or wannabe gardener) in your life! Advanced Master Gardener, Rachel Ziesk, will teach classes that will help attendees prepare their garden for the upcoming spring season. Each individual workshop costs just $20. OR pick up the entire series for $100! The most important component for a successful garden is soil health. Learn how to make and keep your soil healthy, as well as how to use row covers and other techniques to extend your growing season. Learn about starting your garden as soon as the snow is gone! Cool weather crops don’t mind the cold and give you a head start on the season. This class covers how to plant cold weather crops and manage the pests and diseases that plague them. Everything you need to know about warm weather crops! Learn about how to make the best out of your growing season including which crops are best started indoors, what can be directly seeded into the ground and what conditions each crop prefers. This class also covers which fertilizers are best as well as common pests and diseases affecting warm weather crops. Start your own seedlings! This class explores how and when to start planting indoors. Learn about using lights, watering and identifying common problems with seed starting. The class also covers planning your garden so you get the most out of your gardening space. Everyone attending will get to plant a six pack of seedlings to take home with them. Flowers and Herbs attract pollinators and beneficial insects to help keep your garden productive and healthy. Learn about the best flowers and herbs for your garden. This class will also identify some edible weeds and tell you what you need to know in order to protect your garden from invasive ones. Learn how you can eat from your garden all winter long. Simple methods can save your harvest for winter use. The class will cover techniques that you’ll need to know for freezing, canning, dehydrating, pickling and more. *This Program is a cooperative effort of NHS of New Haven, Common Ground, UConn Extension, the Connecticut Department of Agriculture, and the Risk Management Agency/USDA. These institutions are equal opportunity employers and providers. Originally posted on NeighborWorks' site. Payday loans are bad deals for consumers. That's why NeighborWorks is excited to see that Google announced it would no longer accept ads from payday lenders. These ads attracted financially troubled consumers and trapped them in unexpectedly long-term bad deals for short-term money. Traditional lenders don't often offer short-term, low-balance loans people may need to cover a financial emergency in a pinch. There are lots of people who have little or no emergency savings to pay for a car that suddenly breaks down, or to replace an appliance that quits the proverbial "one day after the warranty expires." But payday loans are actually anchors that can drag consumers into a sea of debt - not stabilize their financial boat. A 2016 survey from NeighborWorks America found that more than 28 percent of adults have no emergency savings to cover these sudden costs. The Consumer Federation of America and Pew Charitable Trusts released similar results. That's one reason that payday and title loans are used so frequently. These loans often seem affordable, but when looked at closely, their costs are outrageous. According to the Federal Trade Commission, a $15 fee for a $100 payday loan carries an annual interest rate of nearly 400 percent. And most payday loans are not for $100 but rather for $300 or more. When they are due in two weeks or less, in full, recipients must continue to borrow to pay other loans. What's more, borrowers incur overdraft and bounced-check fees when lenders run their post-dated checks through the system. In April, Consumer Financial Protection Bureau chief Richard Cordray said the agency continues to prepare regulations for the payday lending market. These regulations are likely to incorporate an ability-to-repay principle. The convenience of these products masks their costs, and consumers who are cash-strapped could easily see these loans as the best solution to the question: How do I get money right now? However, there is a better solution than these high-cost products, and it starts with better information and better planning. That's where financial capability coaching and counseling come in. Financial capability counseling — often provided free or at very low cost — is an approach that combines financial education, counseling and coaching. Tax season is a great time to start this kind of program and implement strategies that maximize monthly cash flow, set a savings plan and minimize the risk of needing one of these high-cost loans. The trouble is, not enough people are aware of the availability of financial capability services, especially from nonprofit organizations like those affiliated with NeighborWorks. In a 2015 NeighborWorks America survey, three-quarters of adults said they were unaware of free or low-cost services like financial coaching in their communities. We have to make more people aware of these services because financial capability coaching and counseling works. A project spearheaded by NeighborWorks America found that more than half of clients who didn't have savings before working with a coach or counselor had set aside a median amount of $668 after coaching. That amount goes a long way toward establishing an emergency fund. Importantly, the interaction also had a positive effect on people who already were savers. The median increase in savings for these clients was more than $900. In short, working with a financial coach or counselor helps people prepare for unexpected financial emergencies, enabling them to better avoid high-cost lending products such as payday and title loans, or the need to get their tax refund now instead of waiting a few days. The centerpiece of financial capability counseling is looking ahead. A great first step in setting personal financial goals — whether they be allocating money for emergencies, developing a strategy to start a business or saving for college education — is to retain a financial capability counselor. It's easier to avoid payday and other high-cost lending traps if you're looking ahead. NEW HAVEN, CT – Neighborhood Housing Services of New Haven announced today that Eversource has contributed $500,000 under the State House Tax Credit Contribution (HTCC) Program administered by the Connecticut Housing Finance Authority. The funding will support NHS’ Comprehensive Neighborhood Stabilization and Revitalization Initiative and the HomeOwnership Center’s Homebuyer Promotion and Preservation Program. In 2017, these programs are poised to rehabilitate 12 houses, totaling at least 20 units for affordable homeownership in addition to providing homebuyer education, financial literacy training, and foreclosure prevention counseling. Neighborhood Housing Services of New Haven and its subsidiary the New Haven HomeOwnership Center, work to revitalize selected neighborhoods in New Haven by increasing homeownership; making homes beautiful, energy-efficient, and affordable; and helping residents take charge of their neighborhoods. We believe that increased homeownership, educated homebuyers, and rehabilitated houses will produce stable, revitalized neighborhoods that our clients will be proud to call home. During the course of our 37-year history, NHS has fully renovated and sold more than 270 houses to low- and moderate-income families (www.nhsofnewhaven.org). NHS of New Haven is a chartered member of the NeighborWorks America network (www.nw.org). Eversource transmits and delivers electricity and natural gas for more than 3.6 million electric and natural gas customers in Connecticut, Massachusetts and New Hampshire. Eversource harnesses the commitment of its approximately 8,000 employees across three states to build a single, united company around the mission of delivering reliable energy and superior customer service. For more information, visit their website (www.eversource.com), follow them on Twitter (@EversourceCorp), and Facebook (facebook.com/EversourceEnergy).